We are very proud to welcome Kevin Egan aboard the Bellhops as drummer. 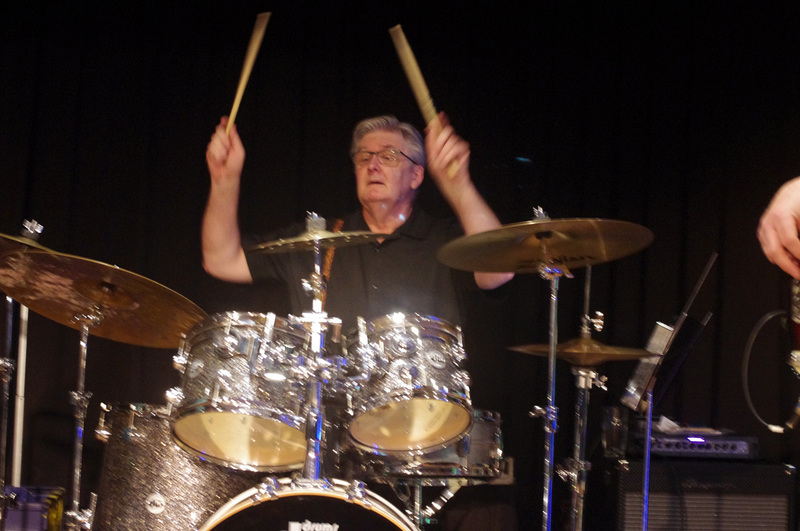 With a gigging career of over 30 years, Kevin is a stalwart of the Australian music scene. Hailing from a strong musical background (his father was a drummer in the ‘big band’ days of old) Kevin originally studied classical piano, before following in his his father’s footsteps and taking up position behind a drum kit. Kevin studied Jazz at the Sydney Conservatorium under Australian Jazz legend, Alan Turnbull and other international greats such as Kenny Washington (Johnny Griffin), Victor Lewis (Freddie Hubbard) and Jon Christianson (Keith Jarrett). Kevin was contracted to Festival Records in the late 1970’s and has played just about every genre of music. He has backed international acts such as Bo Diddley and Tommy Sands and locally recorded with Clive Shakespeare (Sherbet), performed with Steve Crofts (Lancaster Bombers ft. Allan Lancaster ex. Status Quo) and Michael Block (Jimmy Barnes), Theo Penglis (The Atlantics) and Andrew Silver (The Dynamic Hepnotics). Never too far from his jazz roots Kevin has played with the likes of Errol Buddle (Frank Sinatra, Sammy Davis Jnr), the Qua Brothers, Marty Mooney (Galapagos Duck), Roger Frampton, Steve Hunter (Chick Corea) and many more. Kevin cites his influences as including ‘Uncle’ John Turner (Johnny Winter), Mitch Mitchell, Billy Higgins, Jack De Johnette, John Bonham, Max Roach and Steve Gadd.